"I have suffered with neck pain and migraines for over 20 years, I have now had 2 injections in my neck and my migraines are less intense and I am no longer having to take pain medications to get rid of them. I wake up with no neck pain. I feel that Dr. Khan and his staff has took great care of my needs and listen to where the pain was. When I was at a loss and thought my neck pain and migraines was just the way of life, Dr. Khan gave me my life back. I can not Thank him enough. " "He is a very caring and professional doctor. He goes above and beyond the call of Duty. He did a procedure on my back and few days ago, after the local anesthetic wore off I was in serious pain. My wife called and talked to him. He told me to increase the amount of pain medication I was taking. This evening he called to check on me. I told him I was still suffering. He asked me to come in tomorrow free of charge. The fact that he thought of me and took the time to call and check on me shows that he really cares about me. I am very grateful to have him as my Doctor. I would definitely recommend him to my friends. And he has a great bedside manner. I love this guy!!!!!" "What a POS waist of time this guy is. Doesn't listen, doesn't read your chart, could care less about your pain today, come back next week and we can do something about it. I would recommend if you need immediate help to just see your PCP, until you can find another doctor. That's what I should have done instead of driving an 85 mile round trip. I should bill/sue him for my milage, time, and probably additional damage to my back and neck. I walked out in disgust and you probably will too." "This is a great doctor he totally helped me with my pain management and herniated disk"
"This guy literally advertises on craigslist. If you call him up for an appointment, the lady says, do you have a referral? Why are you calling? Patient I am in pain, I saw his advertisement. Lady, sorry, he probably can't help. What a joke. so by me saying I am in pain, not offering any more details, she just knows in her heart that the doctor cannot help. no specific details, she just knows about my pain and what her boss would not be able to do for me. wow. " "I was very pleased with my visits, my pain is now manageable due to Dr. Khan's treatment plan. " 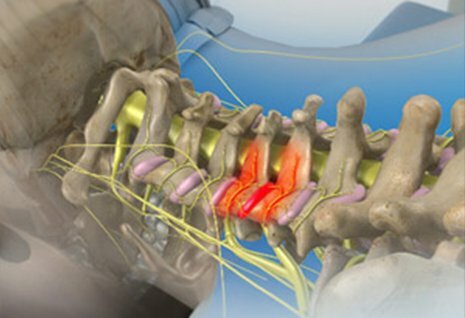 "I met this Dr. about a month ago, full of lower back and leg pain that no one else seemed to help. This Dr. has reduced my pain with only physical therapy. I highly recommend Dr. khan. His staff is so friendly and helpful"
"Dr. Khan and his staff are very conscientious and knowledgeable; my procedures and follow-ups went without issue, and my neck and shoulder pains have disappeared. I highly recommend his practice.	" "Dr. Kahn at Texas International Pain Mgmt. is very sensitive to his patient's needs. His goal is to help manage the pain to a minimum to enjoy every day life." "The office staff is very helpful and professional. Dr. Kahn is great. He has helped me manage my chronic pain. He is a compassionate, kind Doctor. " "Dr Khan has always been there when I need him to help with controlling my pain. He is a great listener which helps him diagnose what pain management he needs to proceed with. The staff is always friendly, and greets you by your name. The scheduling of appointments is very easy and when you arrive to the appointment you do not have to wait to see the doctor. Overall an excellent experience. " "The staff is always friendly and efficient. Dr Khan is excellent with his treatment programs. I am looking forward to continuing to improve the pain in my back by following his suggestions of being certain to continue my exercises that I have learned in the physical therapy program I am currently involved in. " "Everything has gone very smoothly with Dr Khan and his office. 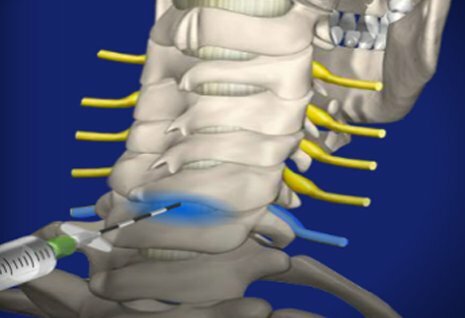 I have received two injections now for my back pain --after the first not a lot of change but after the second one and doing my exercises and going to PT I feel much better and am hoping that continues. Everyone here very punctual, friendly and professional in their work!!	" "I have been extremely pleased with all treatments and diagnosis. I am extremely happy! Dr. Khan is a wonderful doctor. I was in a big mess a year ago in august and I didn't get any relief until I saw him. " "This place is very nice the doctor staff and the facility. I am very much satisfied with there services and I recommend anyone to this doctor office who is looking for close attention any great service. " "I am truly appreciative! I have only been to one other pain specialist that I went to for 8 years and I have seen Dr. Khan for 3 months and I am relieved of my pain. I would rate Dr. Khan as the best pain management doctor and would give him a 10+! The staff was also great as well and are always there to help!" "Dr Khan has taken care of me for over a year. The staff has always been very pleasant and my pain is improving. I would recommend Dr Khan to others that have pain. " "It has been a very educational experience. The staff is very kind and patient. They are wonderful, I feel like they are my friends now! The office is very clean, the receptionist is really on the ball. I always look forward to coming, everyone here is great! " "Very friendly . Listens. And keeps up with his patients." "Dr. Khan is very demeaning to his patients. He talks down to them and treats them like they are not important to him especially if they are female." "sweet sweet man and awesome doctor!I came in with three herniated disks from a slip and fall and even though he could have given me surgery he tried everything not to have too since im only 25yrs old. I felt he really cared and was not just in it for the money!" "My previous ortho doc referred me to Dr. Khan to see if he could do anything to control my knee pain. Dr. Khan took one look at my x-rays and CT scan and asked why my ortho doc wouldn't do a knee replacement, and I told him it was because of my age, I'm only 28. He said the only thing he could give me was morphine or demerol, but I wouldn't take them because I'm a student and didn't want to be trippin in class. Anyways he was a nice guy and he tried to help. " "Dr. Khan is very caring. He never rushes when you have a concern. Following a procedure, his staff calls to ensure everything is ok. If there's a problem, he calls back immediately. Unlike most doctors, he doesn't treat a phone call as a bother. His staff, especially Carol, in the Richardson is the best. " "Dr. Kahn has been very good with my pain care. I have improved continue to follow the recommended care exercises." "I've been a patient a couple years and Dr. Khan is professionally thorough and to the point and has helped me with my pain without wanting or needing any pain meds. " "he is a very good doctor I've been coming here for years and years, he takes care of my pain." "He is very detailed... Want you to be successful in your recovery. " "Positive results on pain treatment "
"I immediately did not like Dr. Khan's manner, he abrupt and not a nice physician and he kept trying to get me to get these injection's and I did not ever feel comfortable enough for him to inject me. He never stayed in the room more than 5 mins and never put his hands on me. I will never return to his office." "Very impressive creditials but very devoted to his Specialty as you will find upon your first visit. Staff very efficient and friendly. MY story is that I have suffered with Sciatica for nearly 2 years. 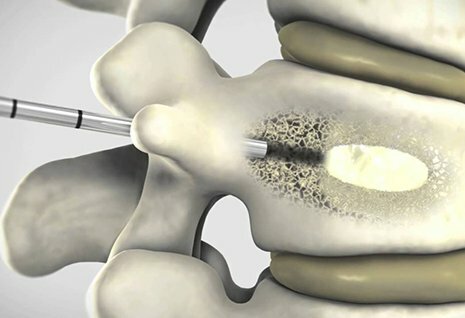 I am from Houston where I had all the testing including an MRI, was sent to a Pain Management Physician and over a year had 4 Lumbar injections with no relief. Moved here found Dr. Khan he injected me in CORRECT area and I finally had relief. I highly recommend this physician. Linda Allen. " "I am extremely satisfied with Dr Khan and his staff and with the results I have gotten." "Great staff and Dr "
"I saw him twice. He spent 2 minutes with me the 2nd time. He spent most of the time asking me why I didn't have an attorney. His receptions asked me the same thing. He then released me from care and said I was good to go, although I still complained of pain form the 5 herniated discs and 3 bulging discs. However, the notes he sent to my primary said he would see me in 2 weeks and recommended injections. My doc thinks he released me because I did not have a lawyer." "I'm very pleased with the Medtronic Neurostimulator I received on the advice of Dr Khan. " "I like Dr. Khan , I think he is a very good doctor and he helped me with my pain in back and I feel pretty good, much better then I did. " "The office staff is an A+ and then some. The wait time was also an A+. This is important to me. Dr. Khan is very approachable and easy to understand. He a explained the procedure well and was patient with me. I can recommend Dr. Khan for pain control." "My treatments have been very successful. I am listened to and giving appropriate medication.i am very satisfied with Dr. Khan treatment. He monitors my Medtronic stimulator carefully." " Treatment is helping "
"My experience here proved more successful than I have had in other doctors in the past. I am now free of pain after 3 years of suffering." "Service was great dr. Is great I feel great"
"Over the yrs I am still impressed with the help I am getting and hopefully in will continue in the future"
"My treatments have been very successful. I am listened to and giving appropriate medication.i am very satisfied with Dr. Khan treatment. He monitors my Medtronic stimulator carefully. " "Everybody here is very nice and very helpful. even though I was very nervous they made me feel comfortable and I will recommend everyone to come here." "Everyone at this facility makes the patient feel welcome and very comforting when doing a procedure. Dr. Khan is very knowledgable. I love his professionalism, yet gentle manner. Would highly recommend. " "I am feeling so much better than I have in years. 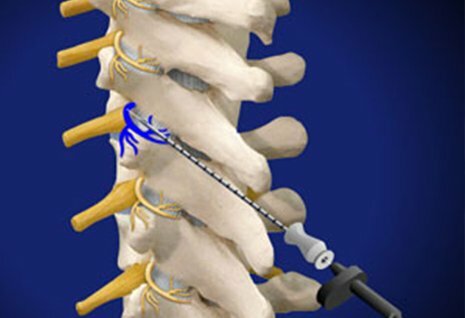 No more lower back spasms and my neck has quit hurting at all, Never thought I would get relief from those back spasms. I am so glad I came here." "I received good care from Dr. Kahn following up condition and exercises." "A year ago, I was in a wheelchair and having intense pain. Thank goodness my cardiologist told me to contact Dr. Kahn. Dr. Kahn quickly diagnosed my CPRS and scheduled me for an immediate nerve block followed by intensive physical therapy. Through the care of Dr. Kahn and his staff I am now back on my feet and able to walk. I highly recommend that anyone who is suffering with pain should contact Dr. Kahn. He is a very knowledgable doctor and a compassionate man. His staff is professional, friendly, and very helpful. Dr. Kahn has different offices, so distance is not a problem. Thank you Dr. Kahn for helping me through this painful and stressful part of my life. You are a hero. " "I was very nervous at my procedure and Dr Liu and Dr Khan and the staff were there to comfort me." "Dr Khan has been taken care of me for over a year. The staff has always been very pleasant and my pain is improving. I would recommend Dr Khan to others that have pain. " " Dr. Khan has been an answered prayer Julain was in desperate need of help and we asked the Lord to send us to someone and he sent us to Dr. Khan. We appreciate all that he has done, and I am thrilled that my husband has gotten relieved from pain with the help of medications. Julian (patient) says when you have an awesome doctor you don't need luck! Love the staff!! " "I don't have to wait very long and pain level went down from when i started treatment." " I was very nervous about my first visit with by Dr Khan. When he explained what was wrong with my back and how the procedure would be done I was put at ease. All the girls are very sweet and respectful. The entire staff is top notch. " " DR. Khan and his staff were very receptive to my needs and very professional towards me personally. " " I like the care that is given, the professionalism and the concern about my health. " " the dr was very good take care of me "
" I am truly appreciative! I have only been to one other pain specialist that I went to for 8 years and I have seen Dr. Khan for 3 months and I am relieved of my pain. I would rate Dr. Khan as the best pain management doctor and would give him a 10+! The staff was also great as well and are always there to help! " " Everything and everyone was absolutely wonderful! I can walk without limping. Climb stairs and hike 3 miles without experiencing any pain whatsoever. Before being treated by Dr. Khan I could barely move without pain, which was sometimes quite severe. I now have my life back! " " I am very happy. I feel better every time I come here. I now feel very comfortablel! " " Very pleasant, comforting, efficient and helpful clinic. nice facility. Friendly and helpful staff. " " The office was compassionate , kind, efficient. and sympathetic. I loved how Dr. khan took charge and took an initiative. He knew exactly what to do for my pain. Dr. khan's diagnostic skills were excellent. We were impressed! " " Very professional and friendly staff. Dr. Khan has performed miracles with my neck pain. I am very pleased with my results. " "Dr. Khan and his staff were very accommodating, courteous, very helpful, professional, and understanding." " i feel very friendly when i walked in . facility is very clean. i recommend everyone to come see dr. khan. " " The office is a warm and friendly environment. The staff always show they care and provide help for my pain. Dr. khan is super and an excellent doctor and really shows great communication skills with his patients. " " I have been a patient of Dr.Khan for several years and he has always listened and given the best treatments. I recommend him to anyone needing a pain management doctor. " " Everything was handled properly and professionally! " " A very friendly staff! Dr. Khan is very friendly and explained everything to me. Everything was just super from the time I checked in to the time checked out! Everyone did an excellent job! I don't feel any pain after my procedure. I had to ask my self did he even do anything!? I felt like I had a something in my back and I no longer feel anything! " " The treatment has relieved my problems so i can sleep at night. I now have a mostly normal life thanks to Dr. Khan. " " I had lots of pain when I first came to Dr. Khan and after the first 3-4 visits there was a major difference almost right away. The shots really make a difference along with his analysis. I will tell you, he has told me I am not cured but what he has done has made me much more comfortable in all my activities! I feel back to normal! I am approaching 80 years old and I am able to do things that I wasn't able to do a few years ago. The most important thing in a doctors office to me is punctuality. The nurses and staff are very punctual. If my appt. is at 2:00 I am normally seen within the next 5-10 min. I am 100% satisfied with the treatment and the reactions of the treatment to regain my mobility and good health. Dr. khan is really a pain management doctor and has supported me and my wife in all we can do to help him prescribe the right treatment. We thank him and his staff. If you have any questions call me! " " I have been extremely pleased with all treatments and diagnosis. I am extremely happy! Dr. Khan is a wonderful doctor. I was in a big mess a year ago in august and I didn't get any relief until I saw him. " " My pain is relieved! Its closer to home, it's now easier to work without the pain! I have recommended Dr.Khan to other people. " " Very prompt, and very efficient. He got me about as good as i can be at this time. Dr. Khan is very caring and very concerned. He is a very good Dr. I would recommend him to anyone! The shots were painless and the staff was awesome and I was treated very well! " " I had a pain shot and was recommended to therapy and it has turned out very well. The therapy they gave me to take home was easy, effective and not hard to do and I am very happy with the results! " " My care was well diagnosed and I feel a lot better. He sent me to other specialists as well that helped with my pain. All of you guys have been fun, funny, and amazing to work with. My care was well diagnosed and I feel a lot better. He sent me to other specialists as well that helped with my pain. All of you guys have been fun, funny, and amazing to work with. " " Overall everything has been very pleasant! " " It has been a very educational experience. The staff is very kind and patient. They are wonderful, I feel like they are my friends now! The office is very clean, the receptionist is really on the ball. I always look forward to coming, everyone here is great! " " Dr. Khan is very nice and takes his time to explain everything in detail and the staff is very friendly. " " Procedure went as expected in an efficient and friendly manner. 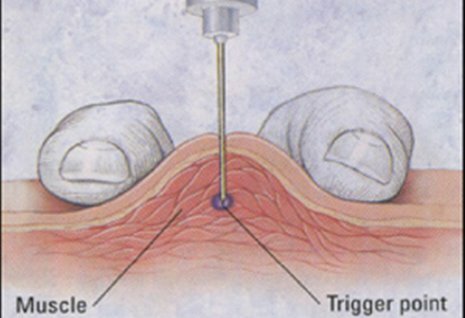 A previous procedure provided relief for many years. " " Dr Arif B. Khan took care of me right a way and helped my pain and I loved him ever since. When I get to hurting I think of Dr Khan because I know I will get relief through his care and treatment. " " I do accept the outstanding work that Dr.Khan and his staff are doing for me. He's outstanding and he is very concerned .Thks dr. "
" Dr. Khan is a caring physician. As a patient of numerous years I have always found both doctor and staff to be excellent. Pain issues can be frustrating and stressful. Here a patient will find information, solutions and relief. I would refer anyone to this doctor and facility. " 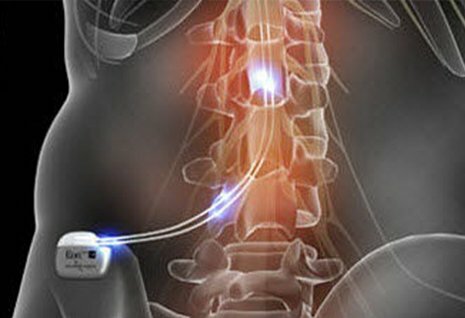 " The spinal cord stimulator implanted for the chronic back pain has helped greatly. " " I was made to feel comfortable. I was given the appropriate health teaching materials. I appreciate the honesty of informing me of my condition. " " This place is very nice the doctor staff and the facility. I am very much satisfied with there services and I recommend anyone to this doctor office who is looking for close attention any great service. " " Dr. Khan & his Medical & Office staff is the very best that I have ever Known. They are both professional and well trained at what jobs they perform. I have received almost ten years of back Pain Management treatments, with Positive results each & every time. Thank You All, F. Chris Murton "
" Friendly, congenial staff, timely care! " " Everyone is very nice and very helpful up front with making my appts. and working with my insurance. They always call me and keep me informed! " " Everything and everybody were just wonderful. The procedure was really quick and painless. Got back to the recovery room and even got a snack! "